Big Pork has argued for years that a muscle drug called ractopamine, which is found in your chops and sausage — but banned in about 160 countries — is no cause for alarm. However, thanks to complaints from China, where a major pork boom is occurring, farmers are suddenly rethinking the drug, and even industry leaders are quietly encouraging its disuse. China has banned pork with ractopamine for some time but just recently started cracking down on a thriving gray market for the stuff. Like most drugs, U.S. farmers like it because it makes for more pig — heavier, more muscled-up pork that can command more money per animal. But also, like most drugs, it may have side effects that include “hyperactivity, trembling, broken limbs, inability to walk and death,” though the FDA says definitive cause and effect haven’t ever been established. Organic producers, of course, sell pork that’s ractopamine-free, but they’re a small percentage of the market, and 2015 has been a particularly brutal year for exports to China; they’re down 41 percent, the lowest since 2010, and expected to keep plummeting. There’s plenty of incentive to figure it out: The pork market in China, already the world’s largest, is growing, and people over there use parts of the pig that Americans tend not to, like the feet and stomachs. This has caused the Pork Board to start telling pork producers to “do the math” on what ractopamine means for their operations. 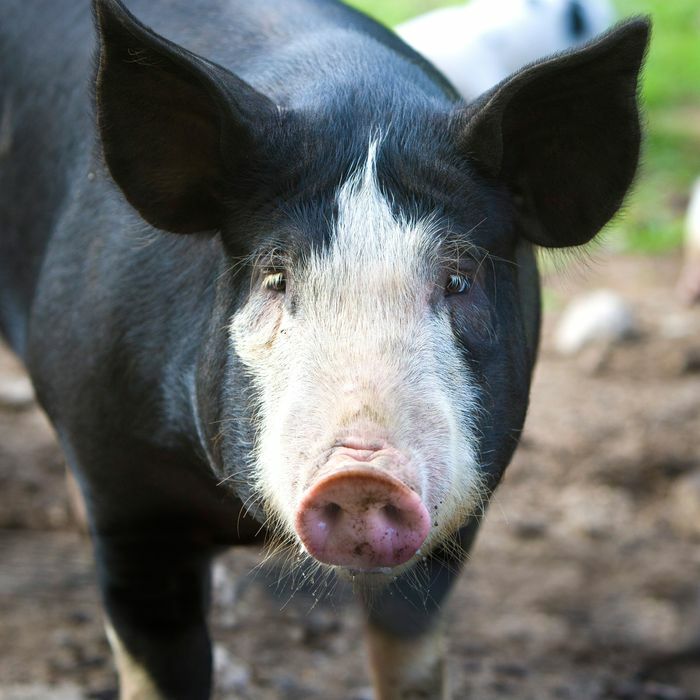 It’s not clear yet if sales of the drug are falling, but the good news for the ractopamine-wary, both at home and abroad, is that the USDA just approved the first label specifically for designating pork that’s been raised free of the drug. Tendergrass Farms, a producer in Virginia, had been lobbying for it since last year, and the agency finally okayed it last week. So it’ll get market-tested — and if consumers will pay more for “ractopamine-free” pork, you can bet farmers will start raising ractopamine-free pork.